In the past, you may have heard you should avoid mixing different types of metals. However, this isn't the case anymore because it's perfectly appropriate to mix both gold and silver jewelry. In fact, many jewelry designers are now making necklaces, bracelets and other jewelry pieces that mixes both silver and gold. 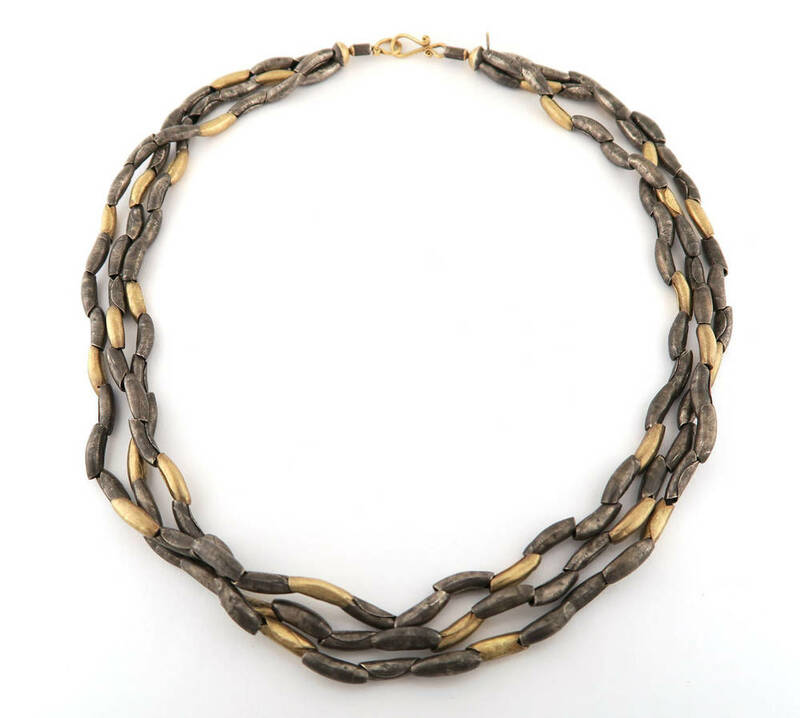 Modern designers are focusing on a bright, new trend - layering necklaces of different lengths and metals to create a whimsical, chic vibe. Designer Michael Barin is a master at incorporating silver and gold with precious, natural gemstones. Take a look at these pieces designed for the woman on the cutting edge of style. We think you will agree that the mix of silver and gold is pure organic beauty!